That’s all, and trust me it’s more than enough. I took a picture of it but it was too blurry to post, because the smell was driving me crazy with anticipation and it made my hands unsteady with food-lust. That really happened. 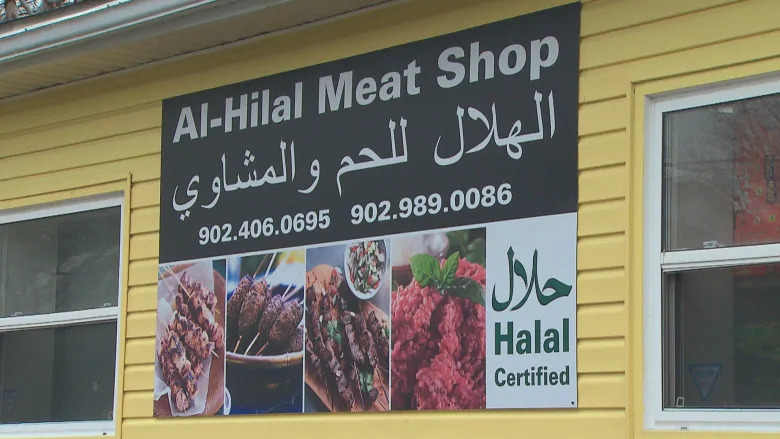 To be found only at the Al-Hilal Meat Shop, on Levis Street right behind Crystal Pizza at 386 Herring Cove Road. Also, check out the menu while you’re there, these guys are not messing around. I have it on high authority that the 1kg of kebabs is an even tastier deal than the grilled chicken, so if you check it out let us know and we will issue a full-blown kebab alert too. *NOT the kind left behind at the hurried end of the vegan potluck, it’s chunky peaks crusting over from stale exposure and the valleys filled with unsavoury pools of congealing liquids. Just thought you should know that, if you are (like me) a victim of too much food-proccessor tortured chickpea from the bad old days before you lived right next door to Al-Hilal. Next: Next post: What’s Your Dream for the New High School?